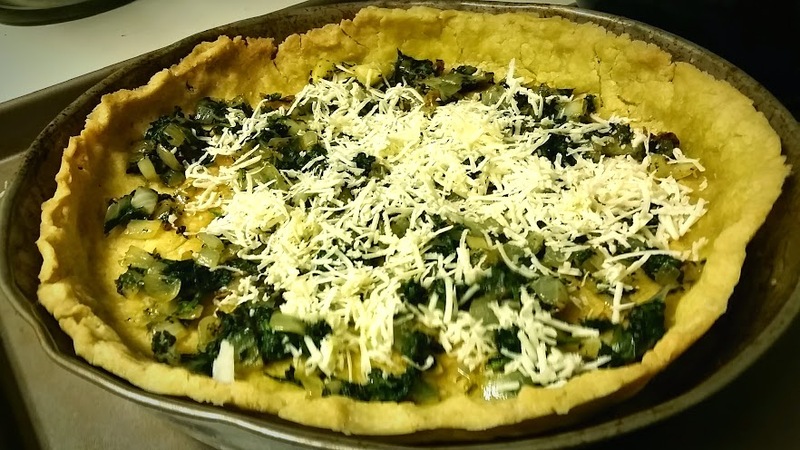 The quiche was one of the first things I learned to make gluten free. 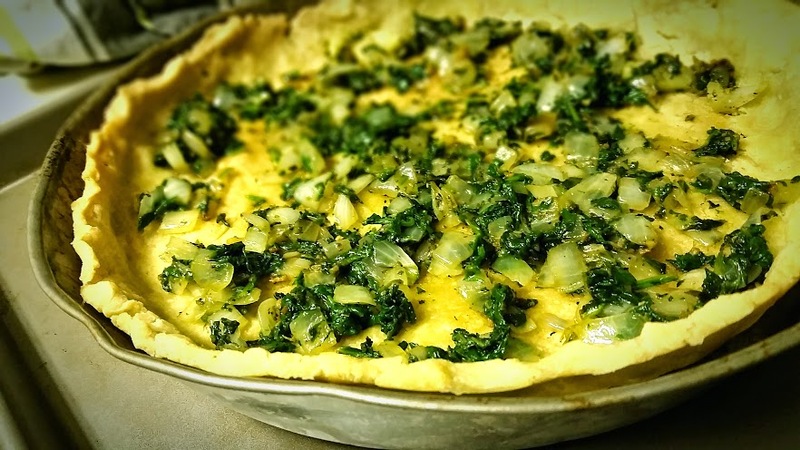 At the time I had a friend working at a bakery who was willing to teach me a few of his dangerously delicious tips, and the quiche and I were best friends ever since. This is such a versatile dish! I love long lazy catch up conversations over endless cups of coffee on a Saturday brunch. There are lots of great places to do that out in DC, but really, there’s nothing better than having a brunch in. Many of my favorite memories of quality times with friends started at someone’s place at 10:30am for brunch, and conversation and treats went strong until 2pm. My husband’s jaw just fell to the floor. I’m handing it back to him. He’s getting fidgety just imagining trying to sit still that long. Really, we often lost track of time catching up, cutting up fruits and making more pots of coffee until we ran out of creamer some time mid afternoon. 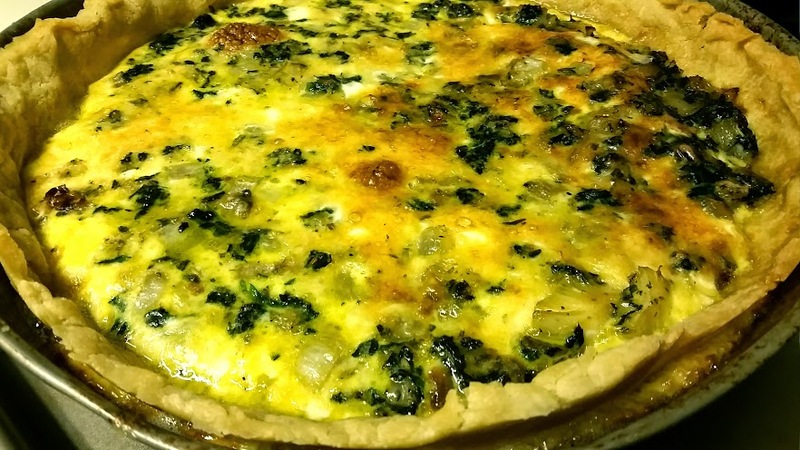 Why should you love the quiche? Because you can make two of them the evening before a group of friends come for brunch, and heat them up or serve them room temperature. It’s more delicious the second day. Also, they’re gorgeous – it’s prettier to eat your unruly eggs from an elegant slice. Third, and, best of all, it’s completely customizable. Meat lover? Cook up some bacon, crumble it up and add it! Buy some of that sausage contents for casing at the farmer’s market and saute it as-is with the spinach and add it! Veggie lovers? Skip the cheese, and make up a batch of mushrooms (do not crowd in the process), or saute a diced bell pepper with the spinach, or throw in frozen peas, or use zucchini. Really the possibilities are endless. There are three basic elements. 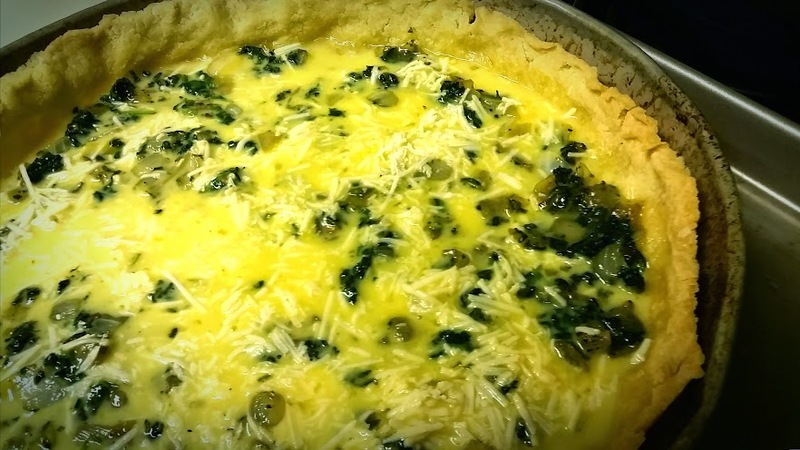 Crust, contents, eggs. Like your sandwich. Leave the ends (crust and eggs) alone and add into the middle whatever delights. Full of egg mixture and heading into the oven! In a mixing bowl, pour the flour and salt — mix dry ingredients with a fork. In another bowl, whisk your olive oil and cold water. Pour the wet mix over the dry mix, and whisk together. You will have a crumbly dough you can pick up as a ball. Press this into a 9″ pie pan. Bake for about 10 minutes on the lower rack to get crisp! Pull out and allow to cool. I place the pie pan on a cookie sheet, for easier assembling and handling in and out of the oven with it’s upcoming quiche-y contents. Heat olive oil on medium heat, add the onions and allow to caramelize, about a minute. 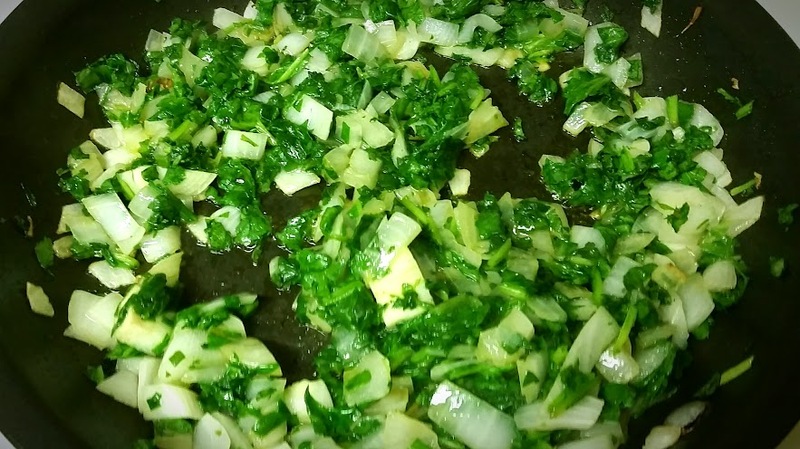 Add the spinach, stir, and allow to wilt. Add seasonings. Add to pie crust. Add shredded cheddar to pie crust. In a mixing bowl, beat your eggs and milk until smooth. Add to the pie crust. Bake in the oven for 30 minutes. Your egg mixture will rise, and the flavors will mix nicely. Allow to cool – the egg mixture will settle. Cut quiche into 6 slices.